Embracing each other, two longtime friends look out over their farmland together. 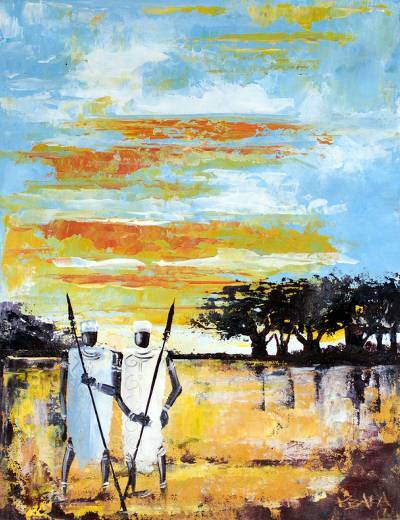 Ghanaian artist K. Baka paints this composition in a style that blends impressionism and expressionism, using broad strokes of the brush to capture the beauty of the setting sun. He says "...making a hundred friends is not a miracle; the miracle is to make a single friend who will stand by your side, even when hundreds are against you."